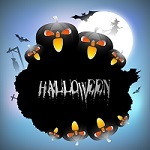 Observed on the 31st October each year, Halloween is a popular celebration, especially with children. That's because they get the chance to dress up in scary costumes and go trick and treating. Of course, the big kids among us get to dress up too! But how much do you know about the celebration? Try these fun Halloween trivia questions (with answers) and find out! Q. Which traditional Halloween game has its origins in a Roman harvest festival that honored the goddess of fruit trees, Pamona? Q. Which large fruit is carved to make Jack-o-lanterns? Q. What does the word "hallow" mean in relation to Halloween? A. Saint or holy person. Q. What type of demon, originating from Arab mythology supposedly robs graveyards and feeds on human beings? Q. Which two colors are traditionally associated with Halloween? Q. And what do the two colors represent? A. Orange represents the Fall harvest and black represents death. Q. Which author wrote the novel Dracula? Q. From which other two words do we get the word bonfire? Q. According to legend, what does it mean if you see a spider on Halloween? A. That a loved one is watching over you. Q. With which Catholic holiday is Halloween associated? Q. In which country did Halloween originate? Q. Do pumpkins grow in the ground, on vines, or on trees? Q. According to legend, what special ability are people who were born on Halloween supposed to possess? A. The ability to communicate with the dead. Q. Which actress played Laurie Strode in the original Halloween movie? Q. And what is the name of the killer in that movie? Q. 'Guising' is the Scottish and Irish equivalent of which Halloween tradition? Q. What is the fear of Halloween called?